A collection of Christmas decals for your home! Brilliant sticker to decorate your home and give it a personalised touch! Are you still looking for the perfect Christmas decoration? How about this beautiful sticker collection? 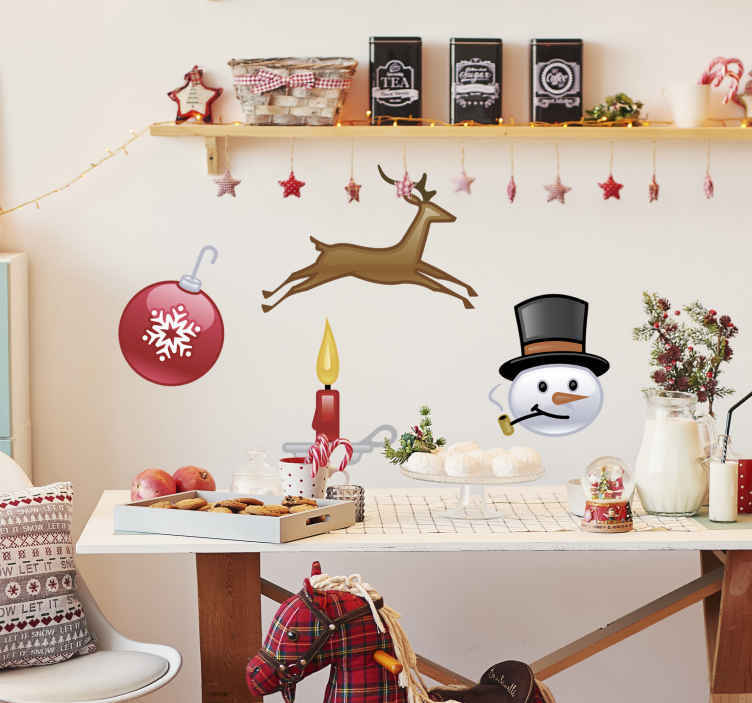 It shows a reindeer, a pipe-smoking snowman, a candle and a red Christmas ball. Choose the size that best fit the surface where you will apply these wonderful decals. These high quality stickers are easy to apply and remove made with anti-bubble vinyl and leaves no residue when removed.